Permanent Secretary for Department of Finance, Sue Gray. Almost a year after taking up post as Permanent Secretary for Department of Finance, Sue Gray talks to David Whelan about her decision to switch Westminster for Northern Ireland, and her ambitions to promote a more diverse civil service. Once dubbed “the most powerful person you’ve never heard of”, the announcement in early 2018 that Sue Gray had been appointed as a Permanent Secretary in the Northern Ireland Civil Service was surprising given the high value placed on her previous work in Westminster. Recognised as one of the UK’s most powerful civil servants, Gray’s previous work in the Cabinet Office was commended by a string of successive prime ministers, senior officials and cabinet ministers. As the Cabinet Office’s head of propriety and ethics, Gray had advised departments on standards and ethics issues, as well as corporate governance in public bodies. Her role included leading investigations into ministerial misconduct and investigations of civil servants and special advisors. 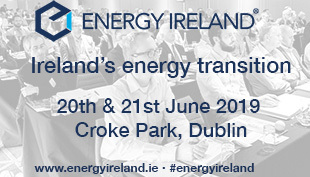 Experience in this area will be important as the NICS awaits the recommendations of the Coghlin report in the coming months, following the conclusion of the Renewable Heat Incentive (RHI) Inquiry late last year. Gray hopes that, as she approaches a year in the post this May, she has led by example in terms of trying to change the approach to engagement and collaboration of her department with multiple organisations and other government departments. “One aspect of the job I am relishing is the interactions and engagements I have been able to be part of, meeting and understanding the various sectors and organisations with whom my department works, both within and outside of the Northern Ireland Civil Service (NICS). “Through this approach we can ensure that the Department’s policies, procedures and processes remain up to date. We, as a civil service, need to get out from behind our desks,” she states. Gray stresses that the decision to come to Northern Ireland was her own and quickly dismisses initial reports that her arrival indicated a preparatory move by the UK Government to the application of direct rule. 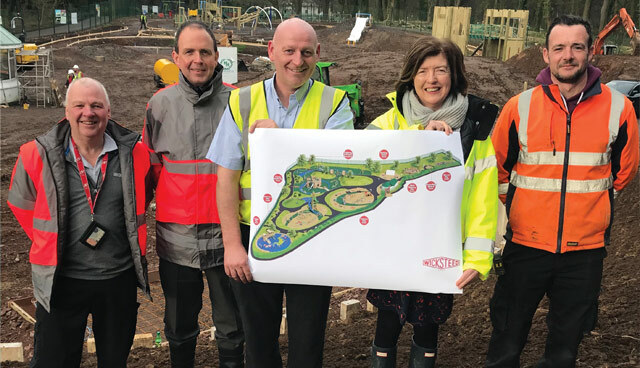 Permanent Secretary for Department of Finance, Sue Gray, pictured with plans for the new all-inclusive Stormont Estate play park which is due to open this summer. (L to R): Tom Wightman and Nigel Bonar, Stormont Estate Management Unit; Steven McGuinness and Rory Duffy from Hawthorn Heights – the Eglinton based company who are constructing the new facility. As well as acquainting herself with the Department’s various partners, Gray’s plate has been full in preparing for the recently announced Budget, progressing modernisation of processes and delivering on transformation ambitions in areas such as digital services and procurement. A civil servant since leaving school, Gray says that a different background perspective than many of her former Whitehall colleagues has previously served her well. The official, who in the late 1980s took a career break to run a pub outside Newry which she credits “for learning a lot about running a small business”, is an advocate of ensuring diversity in any decision-making process and believes that the NICS is moving in the right direction in recognising the value of such an approach. 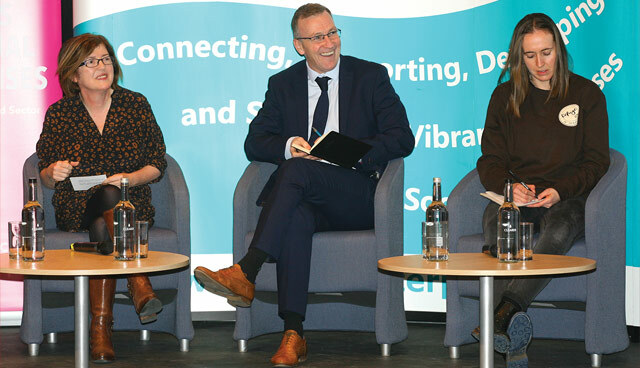 Permanent Secretary for Department of Finance, Sue Gray, was a speaker at the recent Social Enterprise NI Conference. Prior to Gray’s appointment, there was only one female at permanent secretary level within the NICS. Gray is now one of three female permanent secretaries in office and believes that greater diversity is essential to ensuring everyone in the NICS has a “voice at the table”. The Permanent Secretary believes that her relationships and reputation in Whitehall have been useful when putting forward Northern Ireland’s case, primarily in the recent budget allocation. She recognises a difficult and challenging budgetary position. Outlining a desire to capitalise on the current allocation, such as £4 million for departmental service delivery transformation, she adds: “I don’t just want to keep up, I want to be ahead of what other people are doing. We can learn a lot from others, learning best practice and going further. I have excellent networks in Treasury, Cabinet Office and across the whole of Whitehall and I’m up for using them. In an effort to ensure progress, Gray is an advocate for changing the current system of setting budgets annually, recognising the challenges this poses for forward planning across departments and organisations. The Permanent Secretary reveals that she is lobbying the Treasury for a three-year budget. Highlighting the upcoming Spending Review to take place in late spring/early summer as an ideal opportunity for Northern Ireland to further its case for the switch, she hopes others will join the Department of Finance in arguing the case. Quizzed on whether the Northern Ireland (Executive Formation and Exercise of Functions) Act 2018 brought forward by the Secretary of State Karen Bradley, extending the decision-making powers of civil servants, had off-set the difficulties posed by Stormont’s absence, Gray outlines a scenario whereby the Act has been able to facilitate greater confidence in decisions around the likes of making appointments or setting budget allocations, but there remains a deficit in policy setting ability given the absence of elected ministers. Concluding, Gray indicates her commitment to remain in Northern Ireland and making progress on the many areas of transformation and change which attracted her to the post.